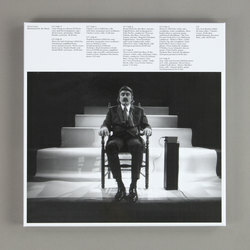 Alvin Lucier - Illuminated By The Moon. Bleep. Though he may not exactly be a household name Alvin Lucier can lay claim to being one of the most important composers to emerge from the United States Of America in the last 100 years. 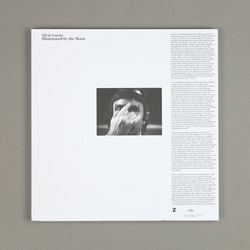 Works such as I Am Sitting In A Room and Music On A Long Thin Wire were great leaps forward for the worlds of sound art, drone and minimalist composition when they first emerged. Back in 2016, Lucier’s 85th birthday was celebrated with a festival held at Zurich’s University Of The Arts. Illuminated By The Moon collects performances from the festival by artists including Stephen O’Malley, Joan La Barbara, Oren Ambarchi and the man himself. 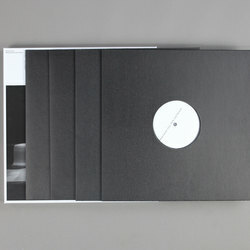 The boxset runs to four vinyl and also includes a beautiful 120-page book.